Just a month shy of its first birthday, Blend Therapeutics of Watertown, MA, says it has secured $16 million in Series B financing. It plans to use the money in part to finance its development of cancer treatments based on a new generation of platinum-based drugs. NanoDimension led the round with participation from existing investors Flagship Ventures and New Enterprise Associates. Blend is yet another company founded by Robert Langer of MIT and Omid Farokhzad of Harvard Medical School, along with Stephen Lippard of MIT. The company’s drug platform, first developed in Lippard’s lab, combines nanoparticles as the delivery vehicle with next-generation platinum drugs, meant to be safer than the platinum-based chemotherapies that are the most common cancer treatments today. Blend CEO Mark Iwicki told me in an interview that the new financing, which comes on top of the $2.8 million raised when the company was founded last January, will be enough to fund the company through the next two years of drug development. 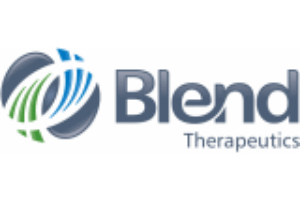 Blend expects to file an investigational new drug application with the FDA in that timeframe.